Why pick a frugal life? Most people are now deferring becoming parents and instead opt for getting a mortgage, traveling and preparing for retirement. For some of us it’s about taking charge of our personal finance in order to achieving financial freedom. This means being in a financial situation where we aren’t stressing every day about how we are going to pay the monthly bills. 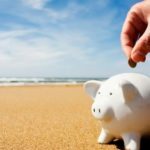 How Do You Start The Frugal Lifestyle? Well, if you’re reading this for the first time scratching your head and pondering this very question understand that you’re not the first. You most certainly won’t be the last couple to face this dilemma. 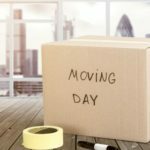 It’s a big decision and you are probably already adding up all the creature comforts (the daily latte, magazine subscriptions, 2-door coupe) that are going to be side-lined when you start on your frugal living path. By living a frugal lifestyle it doesn’t mean you can’t spend money and still enjoy the things you use to. Spending money is the easiest and biggest way to have an impact on your free cash flow. Now, reducing the working hours of one partner can free up some more lifestyle choices as well. Holidays are easier to juggle (albeit harder to pay for), socializing time is freed up and odd jobs around the house can be accomplished without spending weekends rushing around. 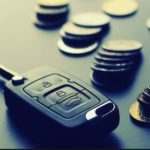 If you planning on living on one income in the near future, or want to achieve financial independence, you might want to peruse the 5 frugal living tips. 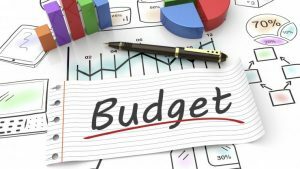 Procrastinate in creating a budget will only mean delayed, and harder, results of limited spending. You can’t keep the same spending habits when your family income goes from 100K to 50K. Some immediate savings are going to come from work-related expenses for the partner who has left the workforce such as parking, transport fees, fuel, cafe lunches etc. Other areas that might need to be pruned are non-essential items such as the weekly manicure, daily newspaper, cable-TV subscription. Look at your cell phone bill and see if there are services you are not using or if there’s a cheaper plan that can still meet your needs.. It may seem like you’re giving up a lot but in essence your just removing what you filled your double income up with. This is an area where you can make huge immediate savings. 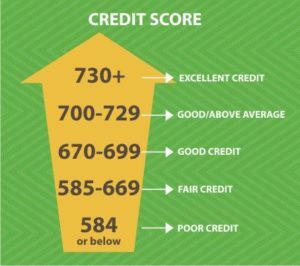 Your credit score will have a big impact on how much savings you achieve. If your mortgage length is 25 years try extending it over a 30 year time span. Of course you will end up paying more interest but it is better to have a mortgage that is achievable than default on one that’s not. Provided you don’t fix the interest rate you can supplement payments as and when you receive extra money. 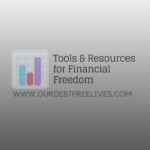 In the long run this will save you money and can help you on a path to becoming debt free. This seems like one of the most obvious frugal living tips, but the mind set of most individuals is well it’s only $1… that’s not going to make a difference. Let’s say you purchase two diet cokes every day at work from the vending machine for $1 each. We’ll assume you work 5 days a week for the whole year (260 days). You’re spending $520 a year on diet coke from the vending machine. Now assume you purchase the diet coke from the grocery store when it’s on sale for $4 for a 12 pack. Now you’re average price per diet coke is $.25, so you’re spending $130 annual. You’d save yourself $390 a year. Being prepared and buying in bulk is one of the best frugal living tips, since it doesn’t impact your life style. This can also help individuals stop impulse buying. There are so many opportunities today for stay-at-home moms or dads. Be creative and use your time well. You can make extra income from home, even an extra $50 per week can help out the family budget. It might not be a lot of money, but it’s an extra $2,600 a year. The risk losing one salary while both partners are working isn’t too detrimental. This should only be considered if you’re only living on one income. Salary Insurance protects the main income in case of death, disablement or if the breadwinner has contracted a terminal illness. Work related accident insurance is covered by your employment (unless self-employed) but Salary Insurance protects against things you can’t. Make some wise choices and frugal living on one income shouldn’t be too hard. Ignore the fact that your lifestyle will need to change and you will find that problems will continue to mount regardless of your nonchalance.